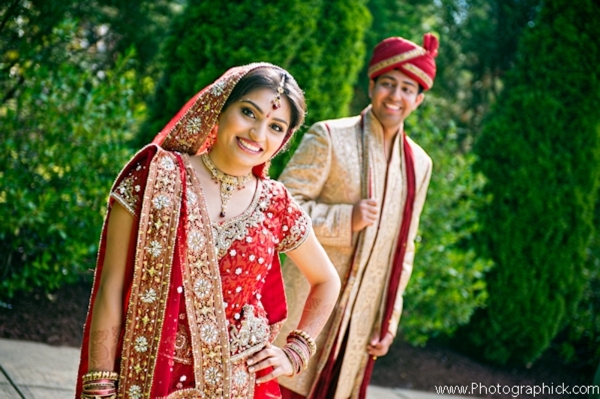 This Gujarati bride is going traditional for her Indian wedding to Raja Manish, and boy, doesn’t she look lovely! 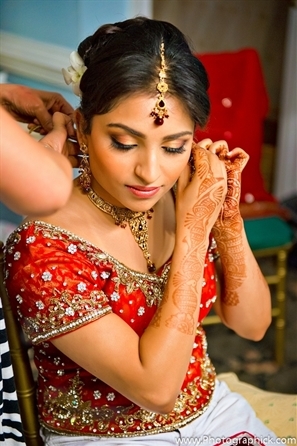 Photographick Studios captures the bride as she prepares to meet her love under the mandap. 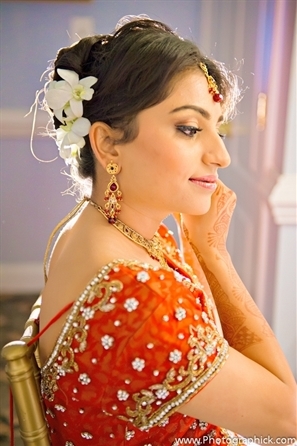 With the help of Bridal Elegance, she tops off her classic red bridal lengha with elegant white orchids in her hair. 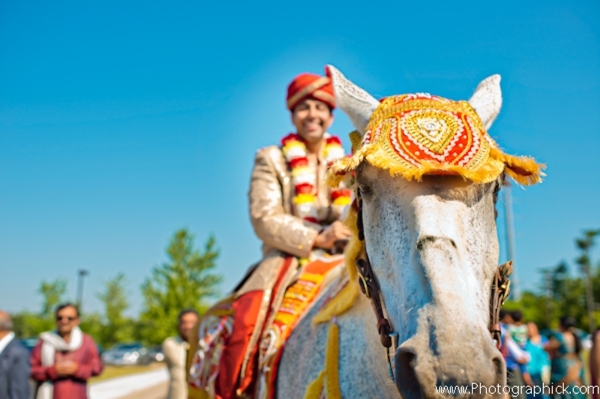 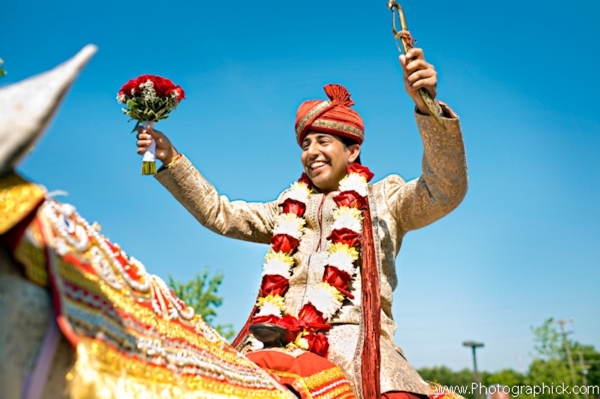 Meanwhile, our groom makes a gallant arrival to Fox Chase Manor in a festive baraat.